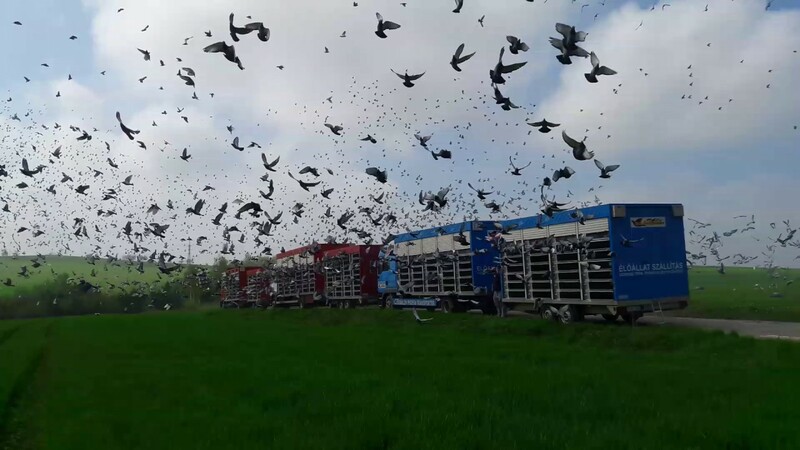 The Galamb Derby is the biggest racing series in Hungary in number and extension with the participation of 400 sportmates and 14.000 pigeons in 2018, with 17 races altogether and a flying zone of 240 kilometers in length and 100 kilometers in width that is nearly 20.000 square kilometers. The organizers expect about 500 sportmates for the next season because the Derby continuously takes into consideration the feedback and needs of the sportmates. The new feature of 2019 is the Royal 300 Championship that contains the shorter races, organized in parallel with the longer distance races. With this, racers can compete themselves and their pigeons in 14 weekends in 20 races altogether. Lovers of long distance races will also be satisfied as from the previous season, the race of Kriwitz with the average distance of 876 kilometers became the longest distance race. Romanian sportmates who compete as guests for years can calculate with the distance of 990 kilometers, that does not terrify them though: about 200 racers indicated their intention of participation for the race of 2019 from Romania. Another new feature of the next season is the introduction of the Joker pigeons. With this feature, racers will not have to leave their less talented pigeons at home, as their results will not count in the loft championship.